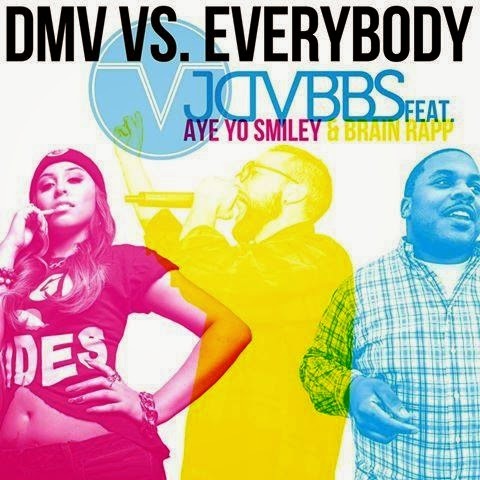 JDVBBS (pronounced Jay Dubbs), featured in an interview last year, recently released a track with DMV's (D.C., Maryland, and Virginia) own Aye Yo Smiley and Brain Rapp. The three verse song, recorded over Shady Record's "Detroit vs Everybody," is appropriately titled "DMV vs Everybody." The song was released to promote an upcoming show on March 14th at Jammin Java. The link to the show can be found here. The Soundcloud link is below. Let us know your thoughts, and if you're on the East Coast and happen to attend the show, let us know how it goes...you may even see a BITM member!